Sign Up For Our "Friends of the Farm" Membership Program Today! Sign up for education, farm stories & notice of product availability. You will receive a handout with 3 ways to prepare 1 pasture-raised chicken. 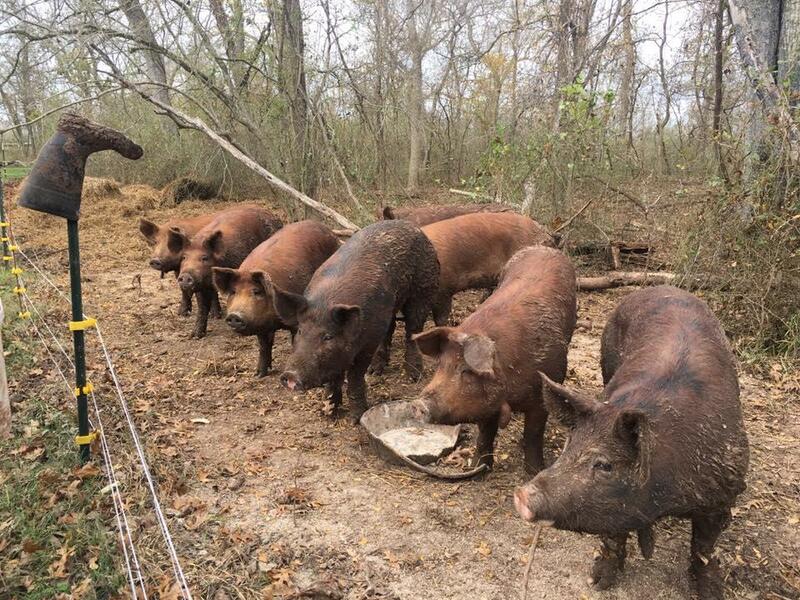 Whitehurst Farms uses rotational grazing and organic practices to raise chickens, eggs, turkeys and hogs in a way that mimics animals' natural patterns in nature. We believe in complete transparency in our artisan methods and how we care for our animals. We sell our products directly to consumers through our membership program and direct sales available for pickup in Cypress, Texas. Several farm to table restaurants in the Houston area serve our products as a part of their menu. We also collaborate with local businesses who sell our products or incorporate them into their own offerings. For a virtual tour, more information about the farm and where you can find our products, please visit our "About" page. 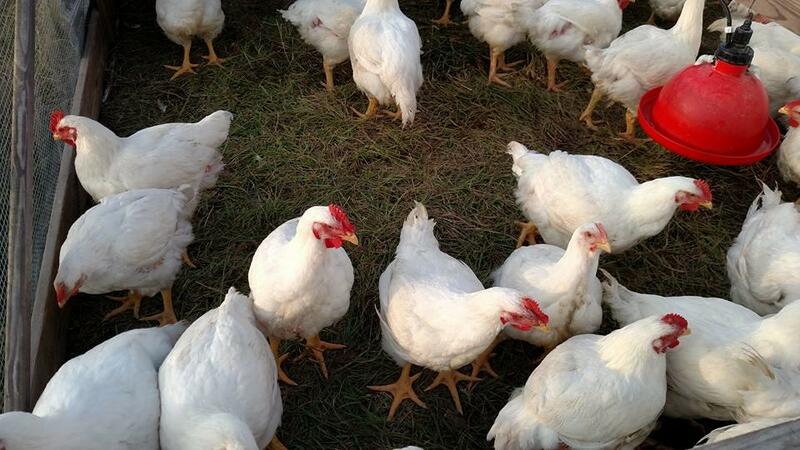 Our broiler (meat) chickens are raised on pasture where they reside in protective mobile pasture pens. The birds are moved to fresh grass daily. Their diet is supplemented with our custom ration of locally-grown fresh-milled feed. This results in a flavorful, full breasted vacuum-packaged weight of 3 - 5 pounds per bird. 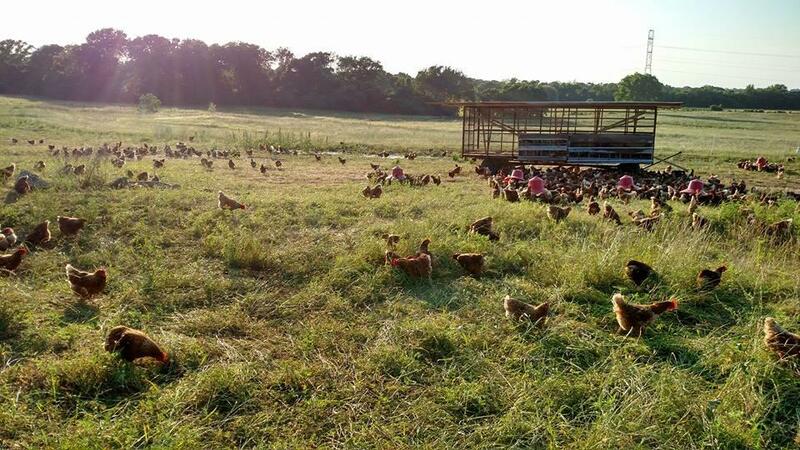 Our egg laying hens free range on pasture and are moved to new pasture a minimum of once per week. Moving with them are their pasture houses which contain their roost, nest boxes and water system. Their diet is supplemented with our custom ration of locally-grown fresh-milled feed. 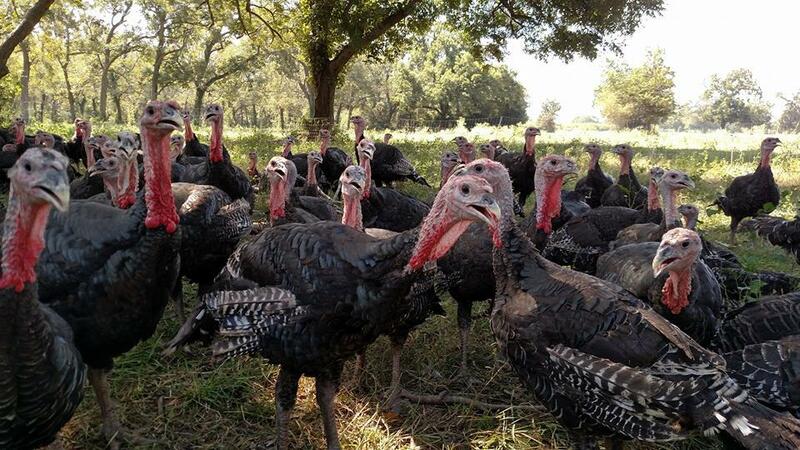 Free range turkeys are raised on pasture and supplemented with locally-grown fresh-milled feed. Whole turkeys range from 14 lbs. to 22 lbs. Also available year-round are turkey breast, ground turkey and leg quarters. Red Wattle or Large Black hogs raised free range where they are free to eat vegetation, root and exhibit their natural woodland instincts. Individual cuts as well as custom half or whole hog packages are available throughout the year. Sign up for education, farm stories & notice of product availability. As a special bonus: receive a handout with 3 ways to prepare 1 pasture-raised chicken.